Hello! I am Cecilia I am a 9 year old girl. Have you ever heard of Minecraft? 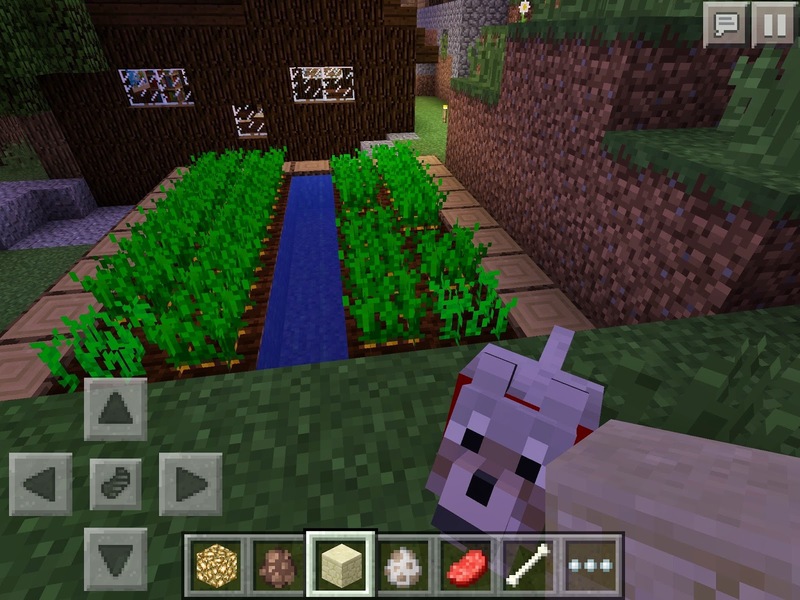 If you haven't you should try it, Minecraft is a app you can put on your iPad, iPod or iPhone. And if you do... then your about to hear some creations that are pretty cool I've made on Minecraft. 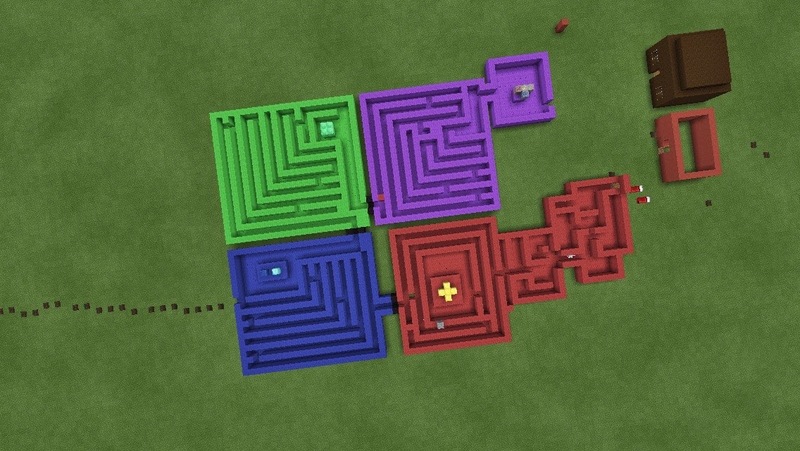 One of the things was a Four Color maze it took me about 3-4 weeks to build, in the end my sisters got to race in it. One I am working on is a Fun Land on Survival mode but so far it's going slow. My sisters always join in while I am building and I usually say "No peeking! It's a surprise!". And they usually leave me alone....sometimes. Another thing I am gonna start sometime is build a BIG Modern house and a BIG Logcabin (I love logcabins). I am hoping to make a trap for my sisters some time.........I just dunno how! I have been working very very hard on them. Sometimes I can go over three hours just working on Minecraft, then I look at the time and I'm like *_*. Now my sisters, Felicity, and Elizabeth are saying " Cecilia! Build me a castle!" And I'm like " uhhhhhhhh sure um ok" (because I dunno how) So I'm build Elizabeth a HUGE castle and she says "I'm queen of the castle!". I love Minecraft. OH! 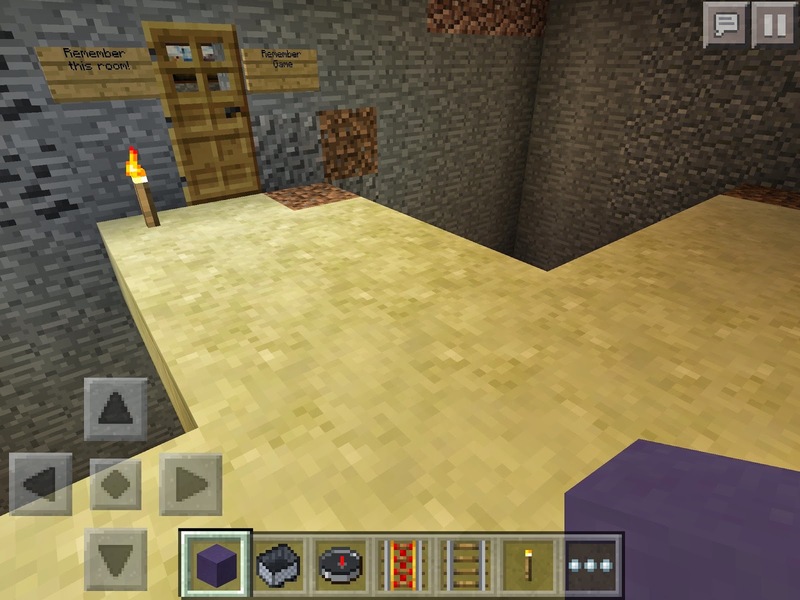 And on Minecraft you can make worlds to make yours, you can make a Survival mode which it's called that because in the night of Survival mode evil spiders, zombies, skeletons with bows and arrows, green things that can bomb it's self and things. On creative mode You can make bad guys without them killing you. Just letting you know! Wow, Cecilia, you are a super creative young lady! Those mazes look like they'd be so much fun to race through! I wonder how long it took your sisters to complete them. I bet they had so much fun trying! I love log-cabins, too. I didn't even know you could make those in Minecraft! My son, Vincent, loves to play with Minecraft and he's able to play for hours on end, too, without realizing that time is flying by. Honestly, between you and me, I think that's a good thing. It's good to be passionate about something creative, especially when you're helping to make your little sisters so happy! They must think you're such a great big sister to be so thoughtful. Plus, that castle is pretty amazing. 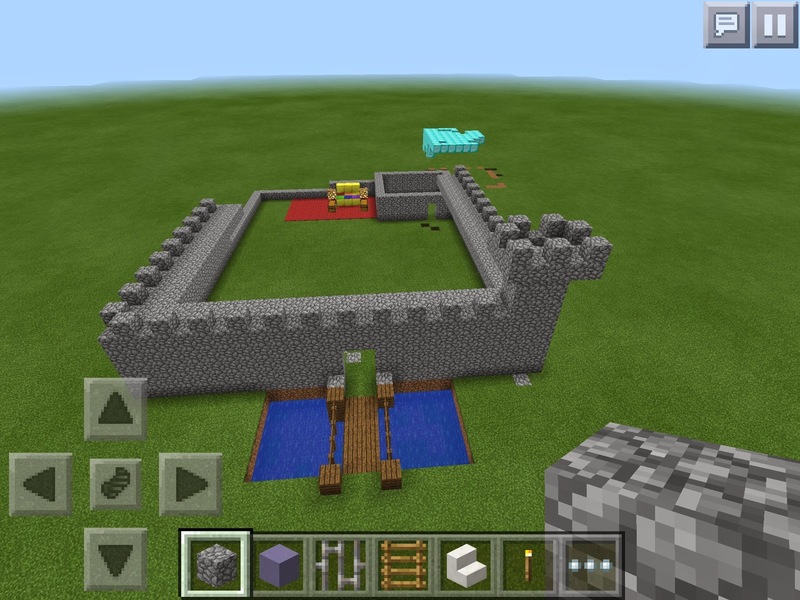 It's got a moat, a drawbridge, and it looks like the makings of a tower! Good luck with your surprises, and keep up the good work!